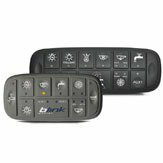 Blink Marine is launching the new CAN bus PowerKey PRO-2400-SI on the international market: a super-compact, 8-button keypad designed to offer maximum control while occupying the smallest possible amount of space on your helm or dashboard. The PRO-2400-SI is available for order beginning 13 November 2017. 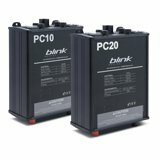 The new PKP-2400-SI will be available on the market beginning 13 November 2017. 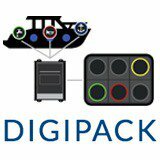 Its compact design echoes that of the PKP-2300-SI, the first keypad in the PRO series to have been entirely designed and produced in Italy by Blink Marine. As with all the keypads in the PRO series, the icon-displaying inserts on each individual button can be replaced at no extra cost to the consumer. The acronym “SI” that appears at the end of the product’s name stands for “Small Inserts,” referring to the fact that, unlike the previous PKU-2400 (which also had eight buttons), the new PKP-2400-SI comes equipped with 15mm inserts rather then 24mm inserts. “The new ‘SI’ line,” notes Riccardo Arienti, CEO of Blink Marine, “was born as a response in terms of design and market demand to the CAN bus onboard electronics. Companies were asking us for solutions with a compact design. The PKP-2400-SI reduces the overall dashboard surface by 46% compared to the PKU-2400, and is our first response to these market requests. 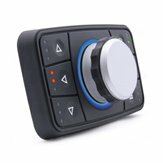 Over the course of 2018 the line will expand further to include another two new, compact-design keypads: the 12-button PKP-2600-SI; and the 4-button PKP-2200-SI”. 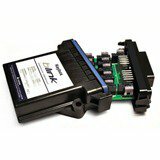 PKP-2400-SI allows each individual to transform the graphic interface according to his or her needs. The incredible ease of personalization provided by the removable inserts, which make keypads in the PRO series unique, does not in any way affect the level of protection afforded for the inputs (IP69K), which have been designed for installation anywhere, including outside the cockpit of special boats and vehicles. Just as with other keypads in the PRO series, the PKP-2400-SI is available with CANopen, J1939 and RS485 protocols.